A look at a young Harry Shafran who was known equally well for his physique as well as feats of strength. 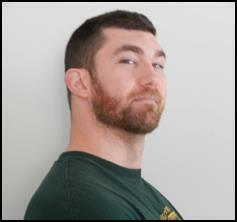 Early in his career, he was a partner of Professor Adrian Schmidt and was featured in Strength Magazine as well as Strength and Health Magazine. He ran a series of successful gyms in New York City but eventually grew tired of it and moved everything to a location near Scranton, Pennsylvania. He kept all his classic equipment in a large barn (including quite a few pieces he obtained from Warren Lincoln Travis). 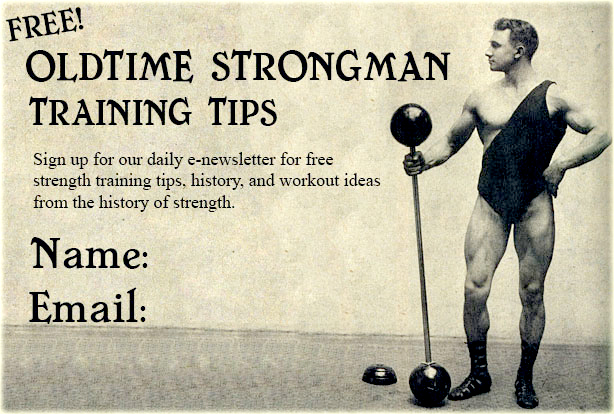 Charles MacMahon, of Camden, New Jersey, was a famous performing strongman during the early 20th century. 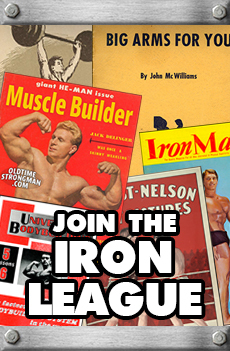 He was a student of Alan Calvert and was regularly featured in Strength Magazine and other literature for the Milo Barbell Company. 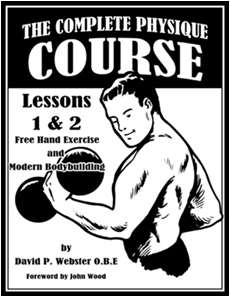 In 1927, he wrote a tremendous book “How to Perform Feats of Strength and Dexterity,” which is now available on our products page. Back in 1902, Alan Calvert established the Milo Barbell company, which was the first ever strength equipment company on American soil. Calvert began one of the the very first training publications “Strength” Magazine in 1914, wrote several training books and courses and helped pave the way for thousands of trainees to build size and strength through common sense methods and hard work.